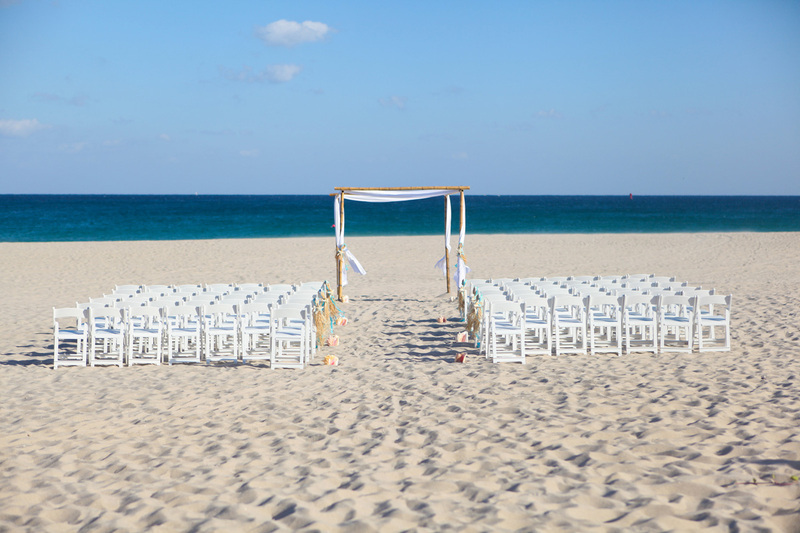 There are just some couples I just instantly connect with and who are so obviously in love that you thank your lucky stars that you can be there to witness their ceremony. 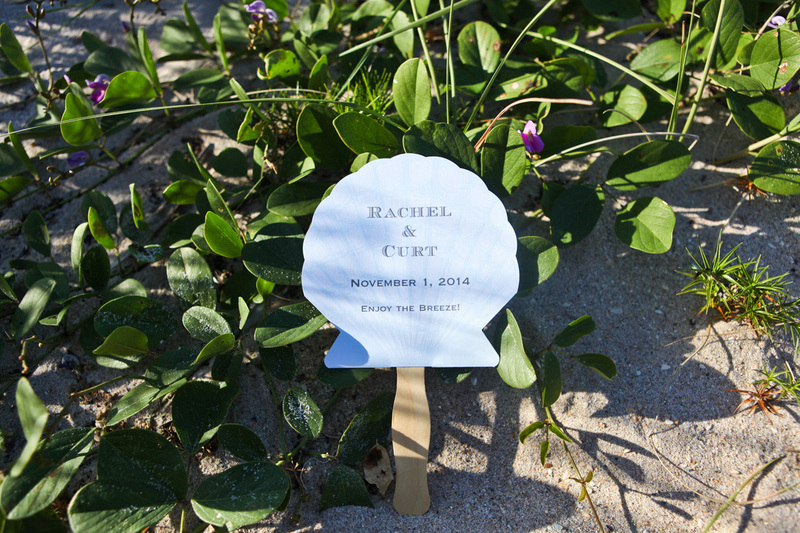 Rachel and Curt are one of those couples! 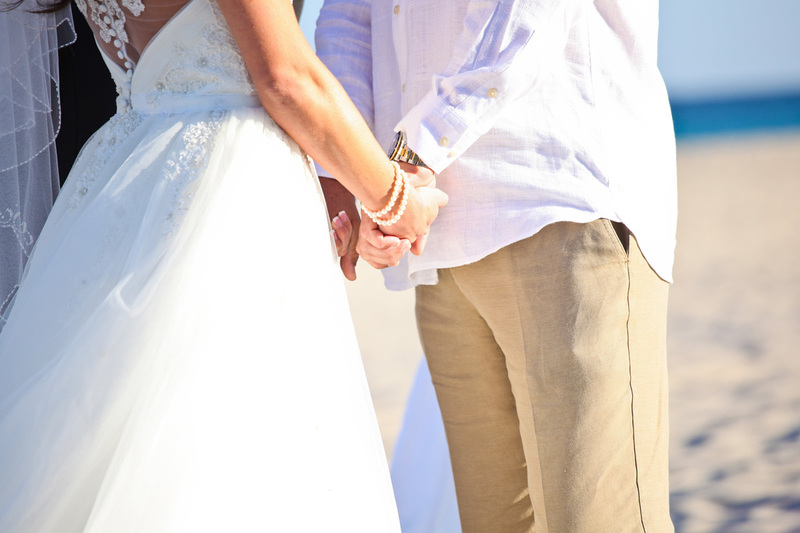 From the beginning, it was as if we has know each other forever. 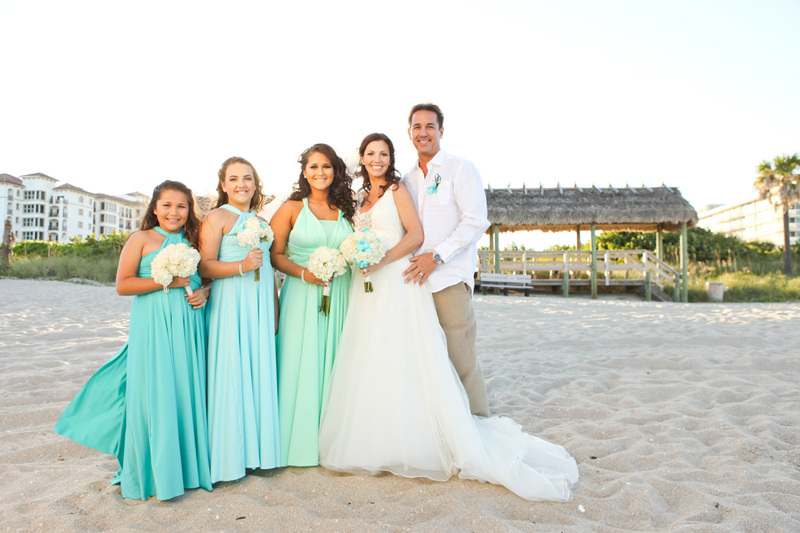 It made working with them so much fun. 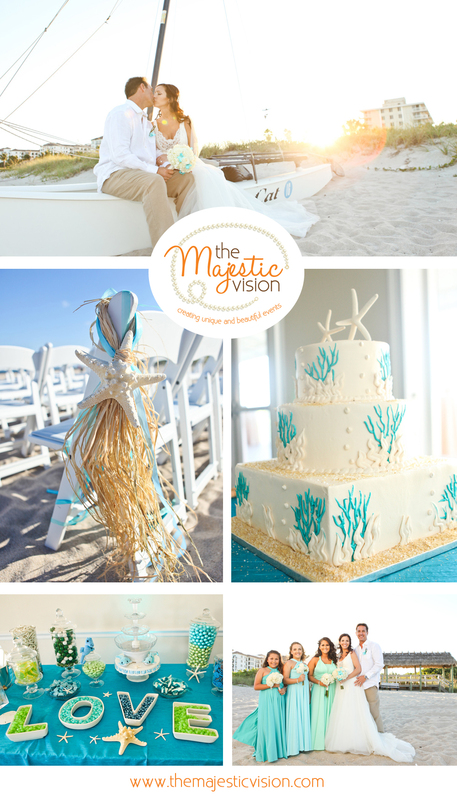 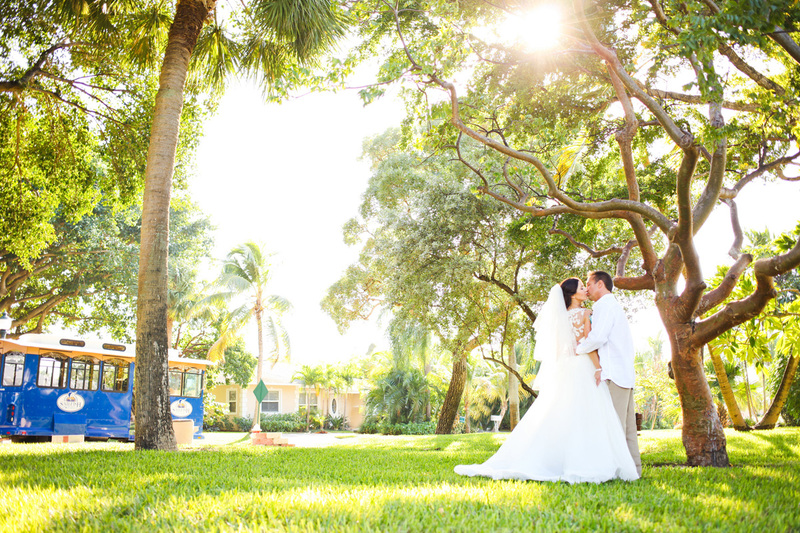 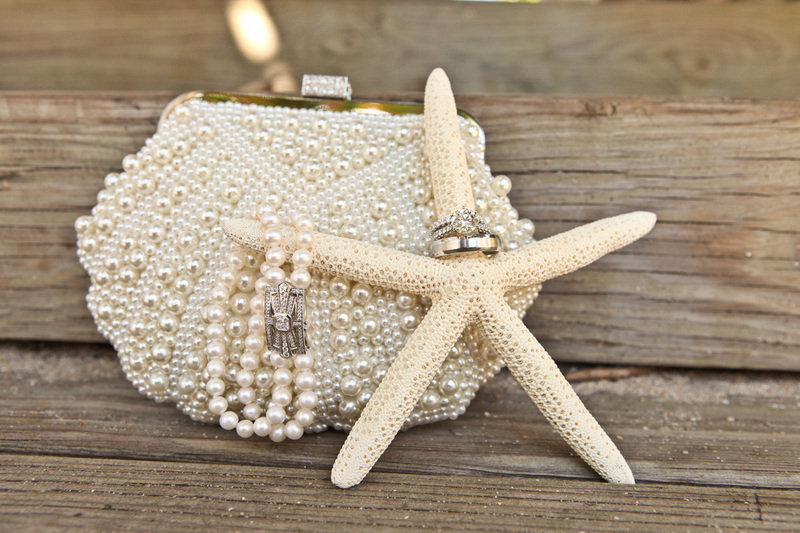 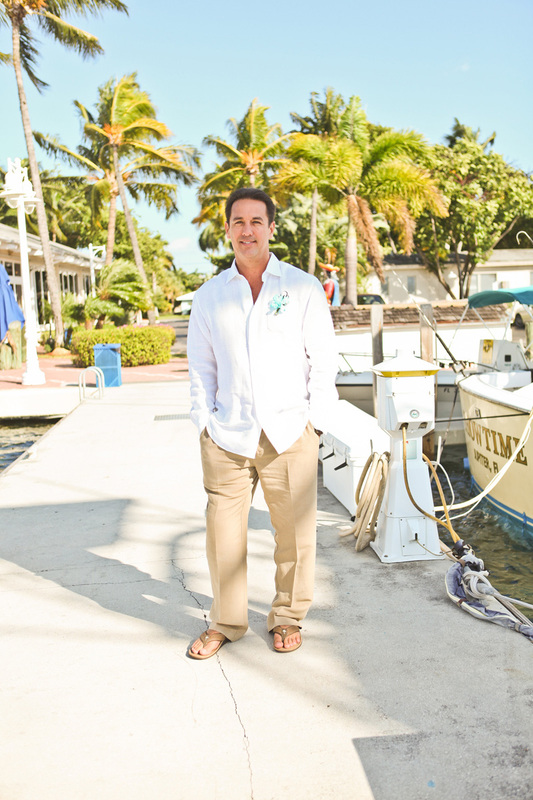 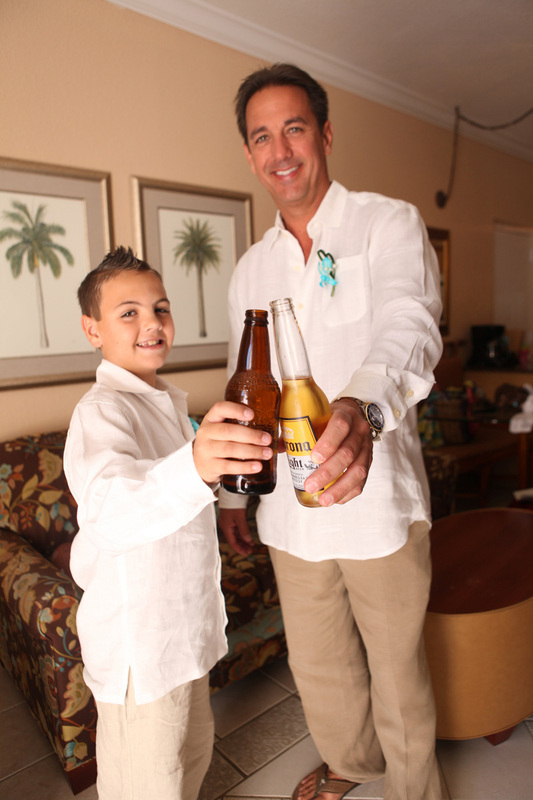 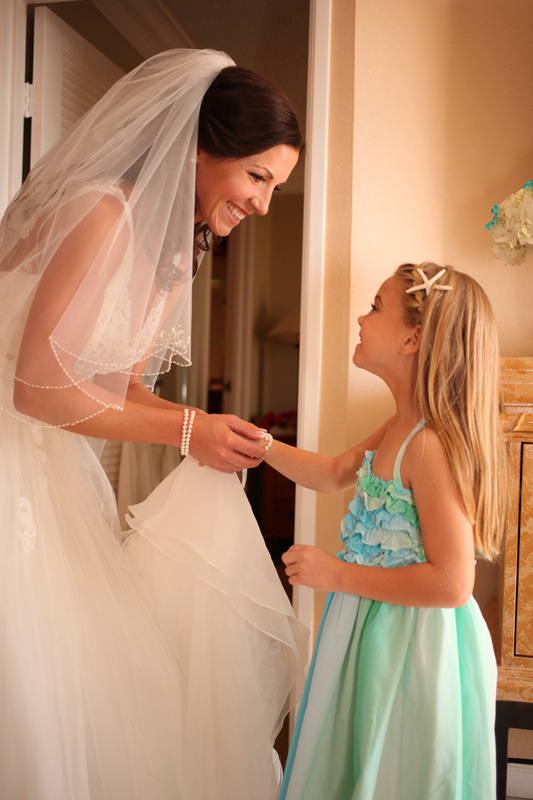 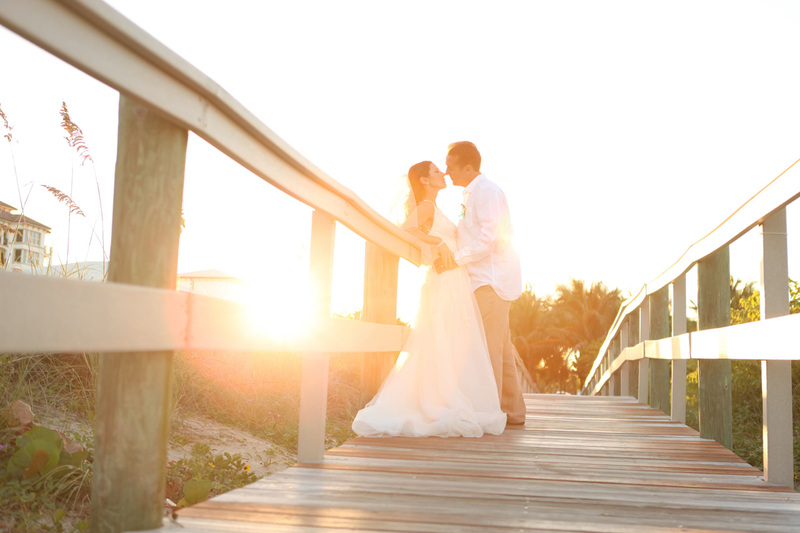 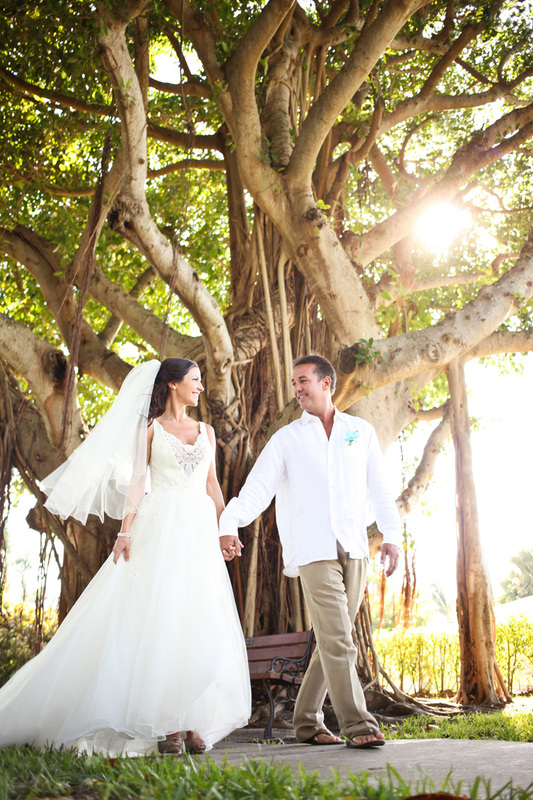 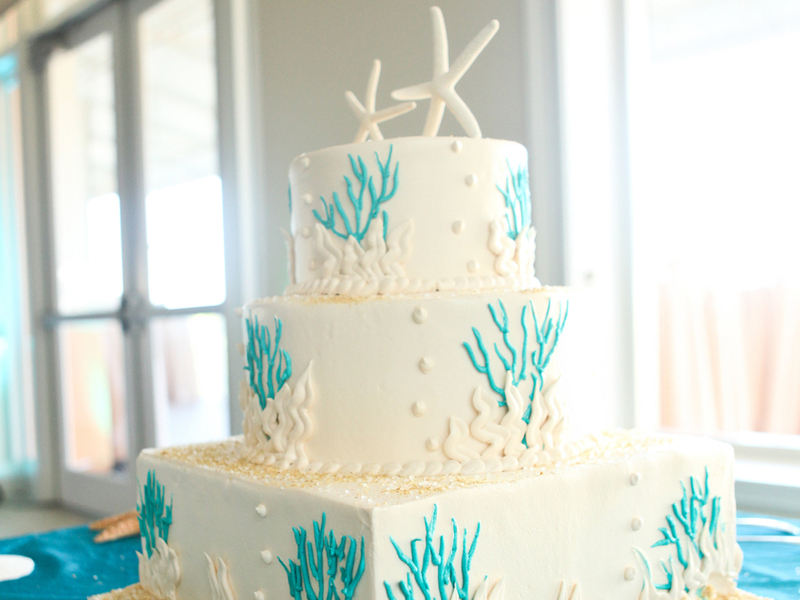 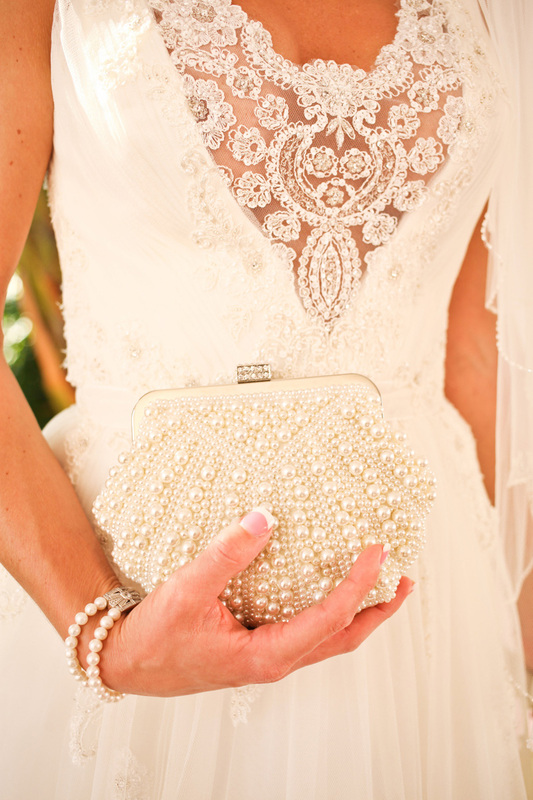 They opted for a whimsical and elegant Palm Beach Shores Wedding. 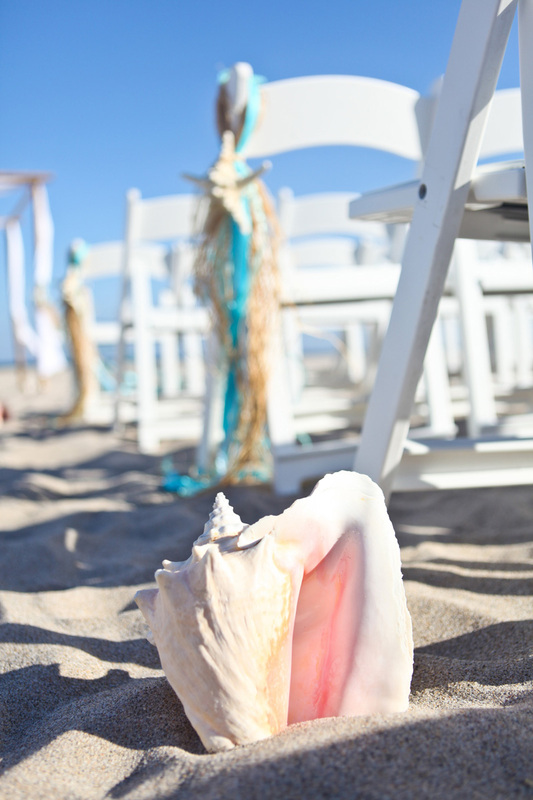 It was beautiful and breezy day…and just a little chilly on the beach. 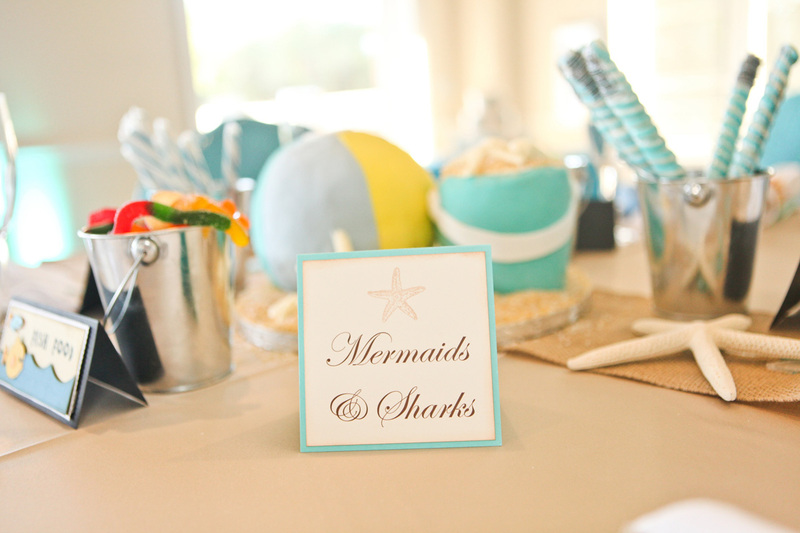 Thankfully, all the guests brought sweaters and shawls to cover up. 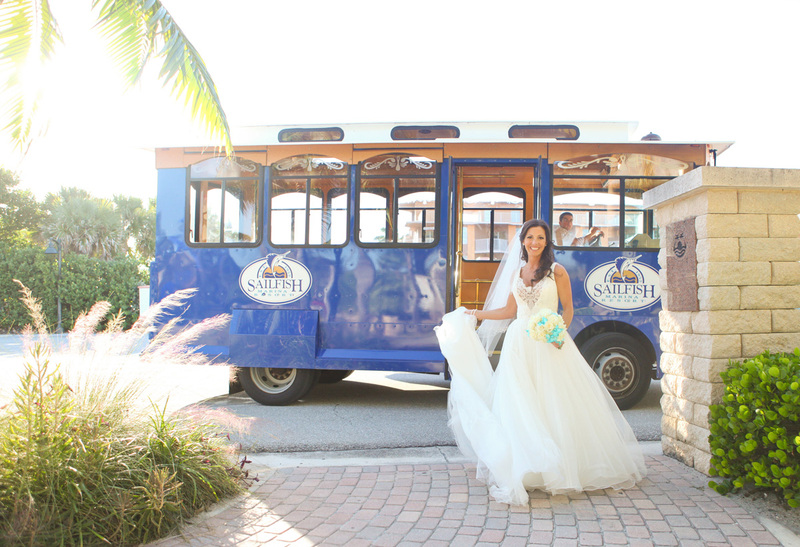 The couple arrived at the beach with their bridal party in a trolley provided by Sailfish Marina. 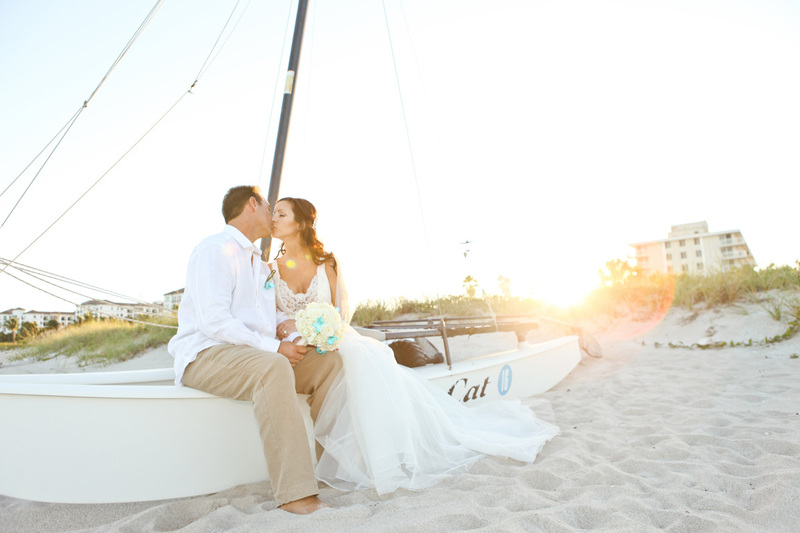 After the ceremony, the bride and groom stayed on the beach to take some photos while their guests headed to the Palm Beach Shores Community Center for the cocktail hour and reception. 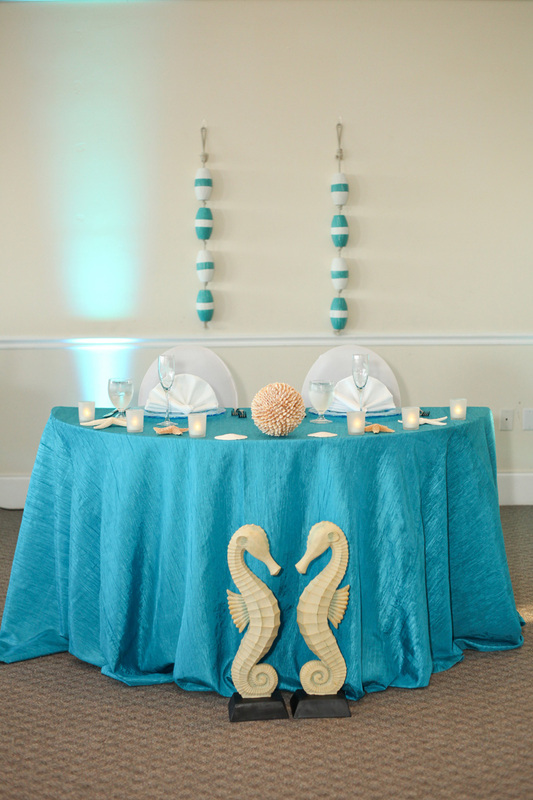 Blue uplighting created a relaxing ambiance. 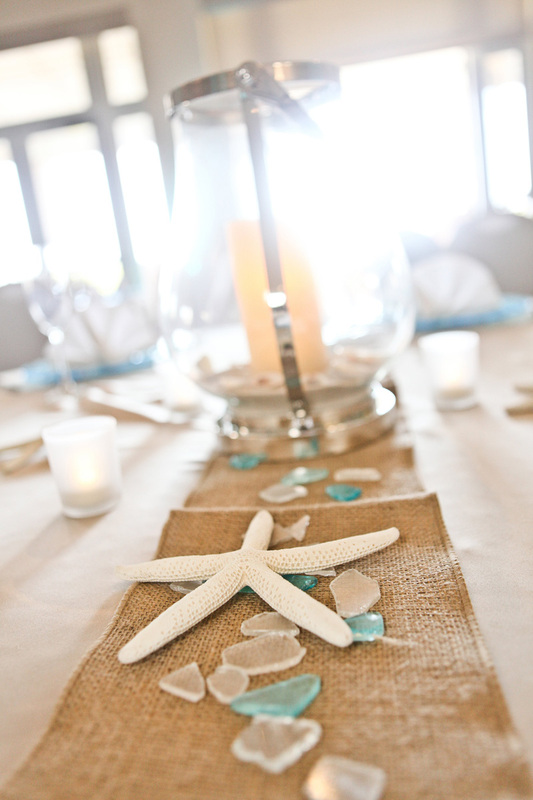 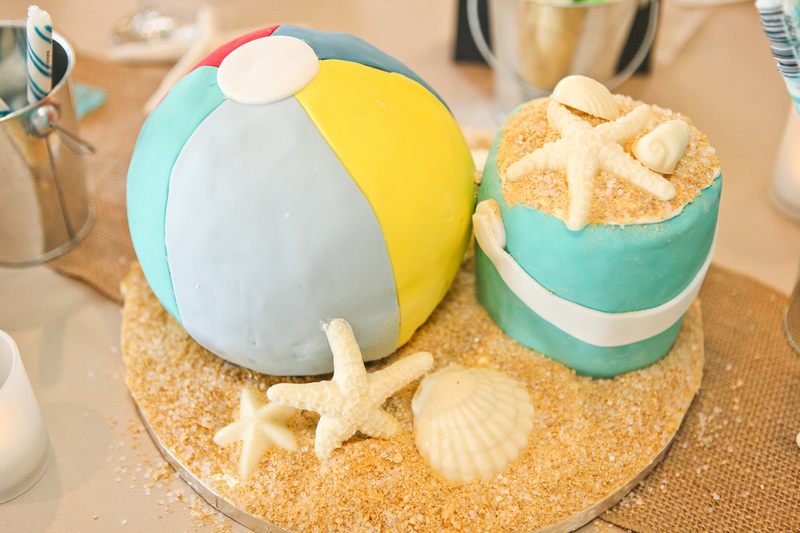 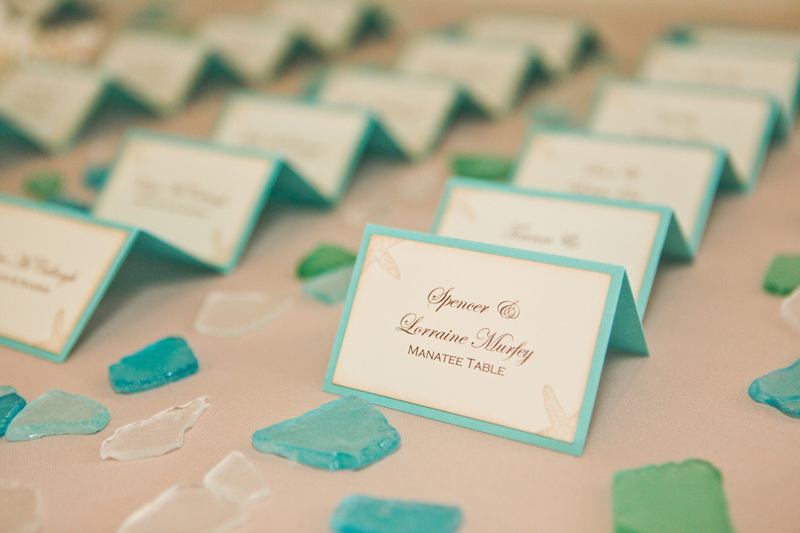 The non-floral centerpieces were beach lanterns filled with sand, seashells and an LED candle atop a burlap runner and surrounded by seaglass. 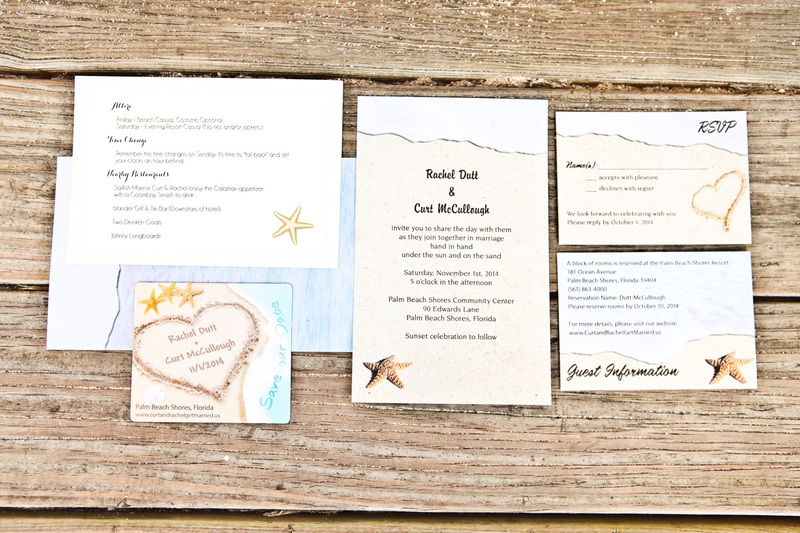 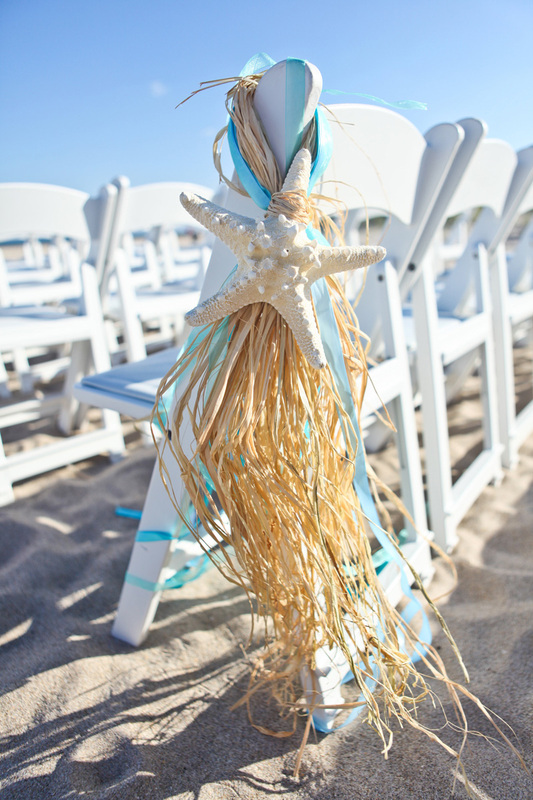 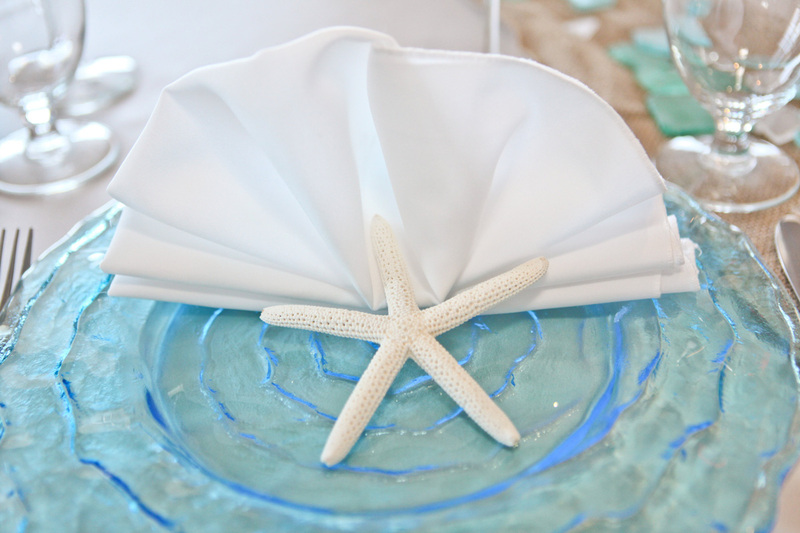 Each place setting was finished with a starfish. 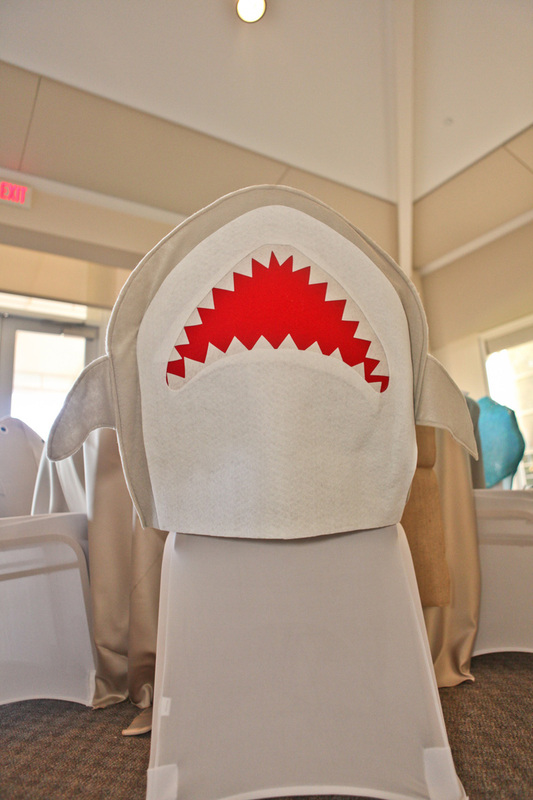 The kids table was adorned with shark and seashell chair covers. 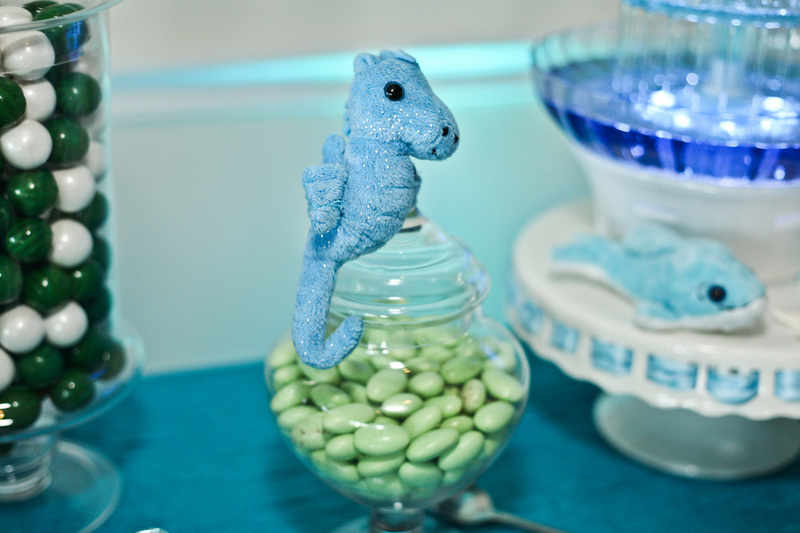 They had a rice crispy treat cake by Publix Greenwise as the centerpiece surrounded by water themed candy. 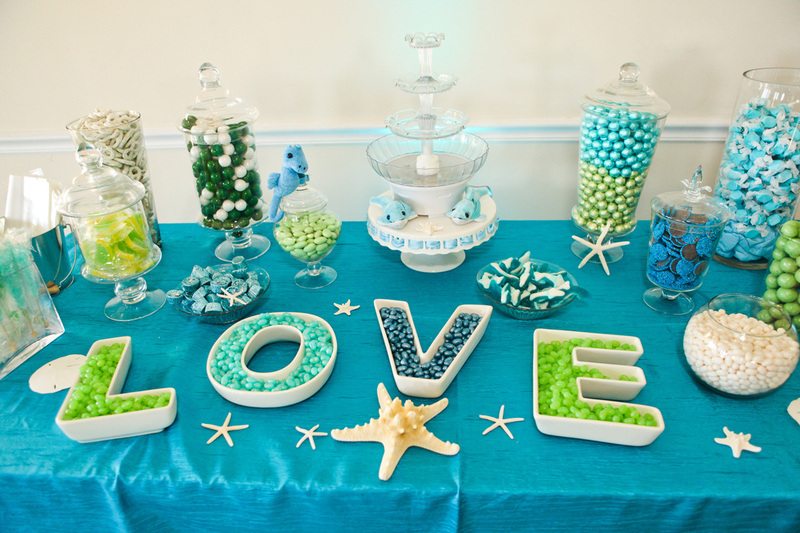 For the adults, there was an elaborate, color themed candy bar to indulge. 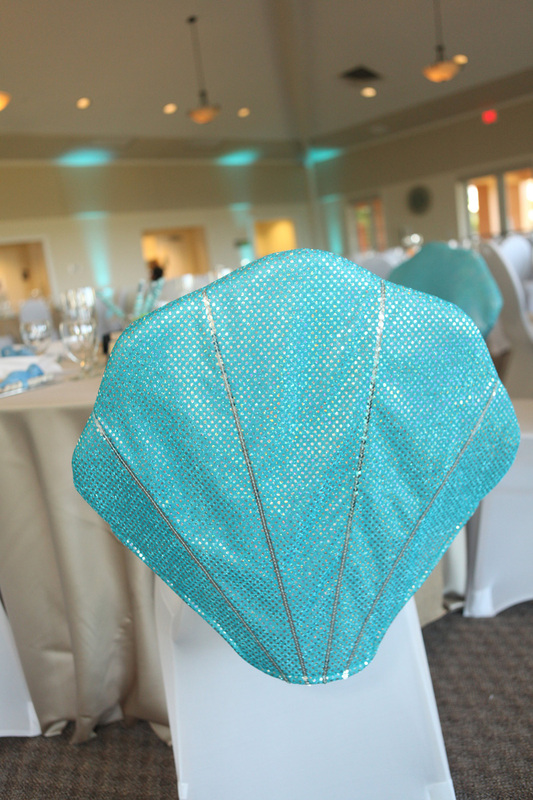 Bassline Entertainment kept the dance floor full all night while Hugo’s Catering kept guests’ bellies full with a yummy dinner. 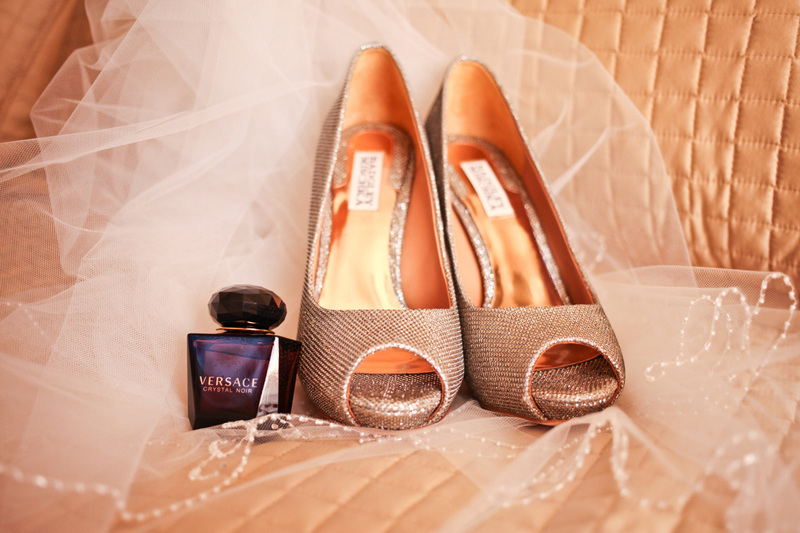 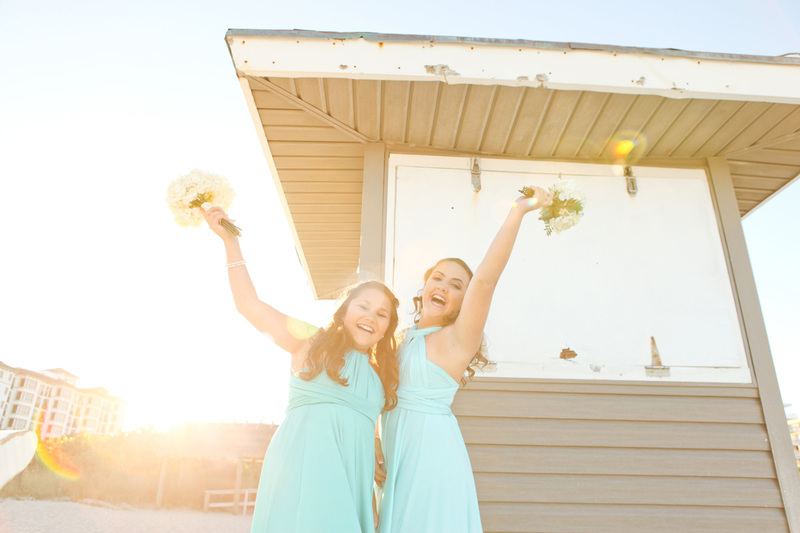 Thankfully Krystal Zaskey Photography was their to capture every wonderful moment.